If you were concerned after reading a sentence like “Populations of honeybees have crashed in recent years, and many researchers have pointed the blame at a class of widely used insecticides called neonicotinoids,” you are not alone. 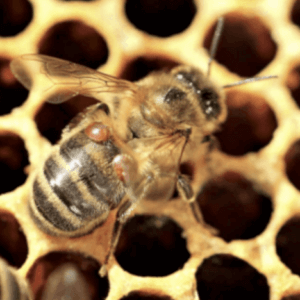 That’s how an otherwise excellent article in The Scientist summarizing a recent USDA study on honeybees’ molecular responses to neonicotinoids began. But you needn't be. The narrative that honeybees, which are actually not even native to North America, Europe or Australia, face mortal danger and will take us down with them has been advanced by environmental groups for years and echoed in media, casual blogs and mainstream science sites. This twist on the news is so pervasive that it’s often accepted without question: bee populations are rapidly declining as a result of pesticide use, particularly the use of neonics, and the crucial pollinators could be edging towards extinction, plunging our entire food system into chaos. "Declining honeybee population could spell trouble for some crops," blared a headline on Fox News last year. 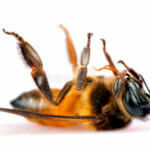 "Death and Extinction of the Bees," was the banner claim on the activist Centre for Research on Globalization. "Honey Bees in a Struggle for Survival," claimed a guest columnist writing earlier this month for a Tennessee newspaper. 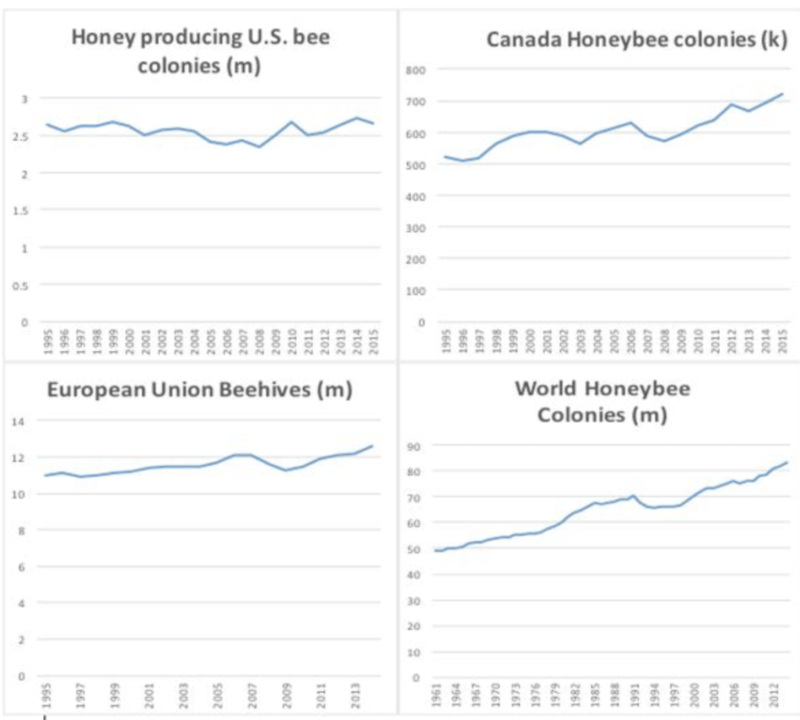 Honeybee populations haven’t “crashed” in the United States or elsewhere. Honeybees are not going "extinct." Crops are not "in trouble." So how did the meme of the honeybee, legs pointing to the sky, become so popular? As often happens with controversial issues such as food and chemicals, it’s complicated––and ideological. It’s not that honeybees aren’t having some problems — they are. Just not to the degree that environmental groups and the media suggest. And most of the problems, say entomologists and bee keepers, are linked to bee keeping practices, Varrora destructor mites (which vector roughly a dozen different diseases into beehives, and the widely prevalent gut fungus, Nosema ceranae. Seed pesticides, most experts say, play a minor if measurable role, with the miticides used to control the parasites presenting far more of a health threat than neonics. These problems have led to higher-than-average over winter losses. 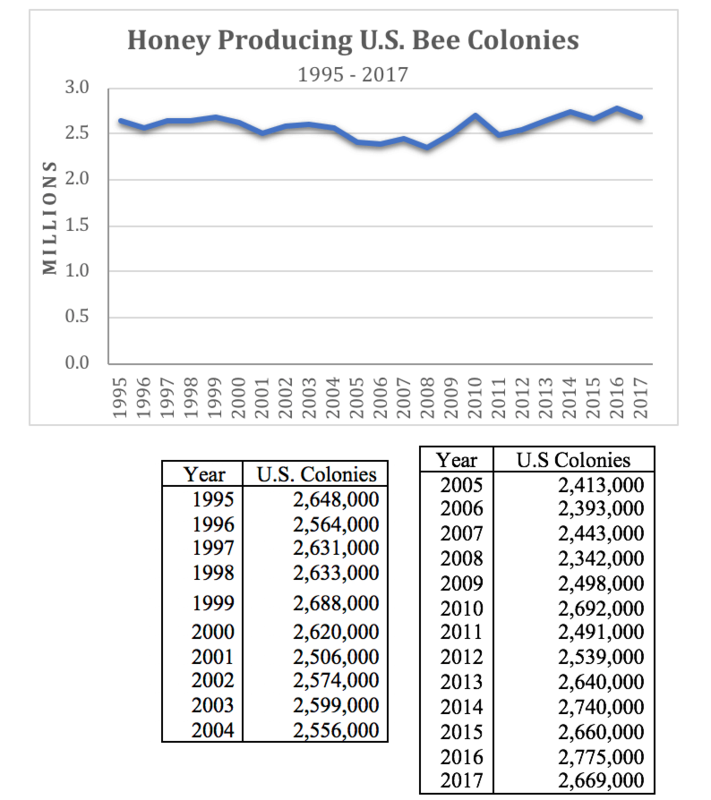 While beekeepers always lose some of their bees over the winter, winter losses of managed honey bee colonies in the US have averaged 28.7 percent since 2006, almost double the historical rate. According to a recent USDA report on honeybee health, beekeepers have been able to adapt their managerial practices and repopulate their stocks when cold weather or virus-related losses occur. Winter losses can easily be replenished by splitting hives, but experts say that's not the optimal solution; it would be better for bee stocks for overwinter losses to continue their recent decline. 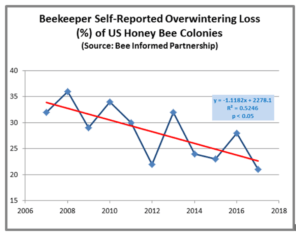 When winter bee loss rates increased in the mid-2000s mostly as a result of the temporary CCD threat, beekeepers’ bottom line was hurt. This incentivized them to replace their lost colonies and to move their “livestock” to farms that offered better rates. Beekeepers offset the higher winter losses primarily through a process called “splitting.” Splitting involves taking a portion of the eggs, larvae, pupae, adult bees and food stores from a healthy colony and creating a separate colony with a newly mated queen. During spring, both colonies will grow, replenishing the beekeepers' stocks. Aside from beekeepers ability to repopulate their colonies and move to fields that pay the highest rates, a third factor that has contributed to the US honey bee population’s stability is the fact that pollinator services make up a small percentage of total farm costs. While pollination services account for a little over five percent of the total cost of growing almonds, no other crop tops 3 percent. And when you consider what the product is sold for in grocery stores, it's even less, with pollination services for all crops (including almonds) making up just 1 percent or less of retail food costs. This means that pollination service cost increases don’t have a large impact on farmers’ costs or food prices. USDA bee researcher: “If there’s a top ten list of what’s killing honey bee colonies, I’d put pesticides at number 11." While it's great that beekeepers are able to rebound from increased loses, “it’s not fun having a lot of dead bees,” says Burgett. High loss rates mean more work and costs for beekeepers. He says the cause of the increased loss numbers are multifactorial, but that varrora mites and the viruses they carry are likely the leading drivers. Nutrition is another big factor. 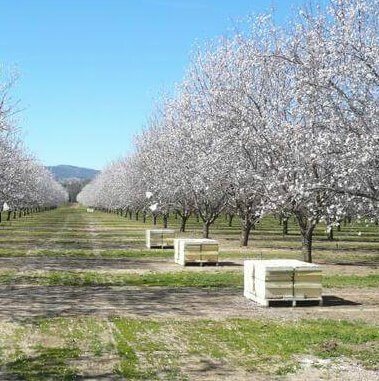 With many colonies being transported to California’s almond groves for pollination, the bees’ diet isn’t very diverse. Burgett says bees need more than just almond pollen to stay healthy. “If there’s a top ten list of what’s killing honey bee colonies, I’d put pesticides at number 11,” he said. As for neonicotinoids, the controversial class of insecticides commonly applied as a seed coating, Burgett says that despite over a decade of study, it’s still yet to be proven that they're playing a significant role in honeybee deaths. But you rarely find that kind of nuanced reporting in the general media and even among the farm press. 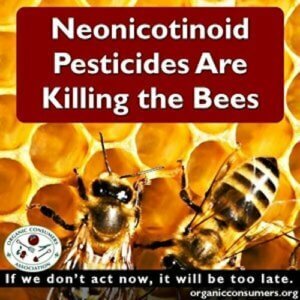 The anti-chemical meme targeting neonics with the not-all-that vulnerable honeybee as their symbol remains a powerful fund-raising tool for environmental advocacy groups, and often linked to the organic industry..